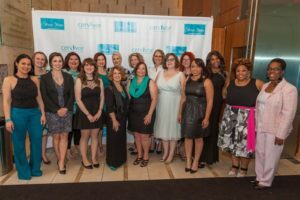 When I was diagnosed with cervical cancer and told that I needed chemotherapy and radiation, I needed three things- I needed to know that I was not alone. I needed strength to go through treatment. Most importantly, I needed hope. I believe that Stirrup Stories gave the women all that and more. being served. Hors’d oeuvres were being passed. There were lots of bright smiles. Many women were dressed in their beautiful cocktail attire. Oh, and there were some well-dressed men there to support the cause as well. The building was full of great energy. As the evening officially started, we were welcomed by Michel Wright of Majic 102.3 and introduced to Tamika Felder, the founder of Cervivor. We were also introduced to Sarah Fraser, a long-time supporter of Cervivor’s work. Then, the meat of the evening began. 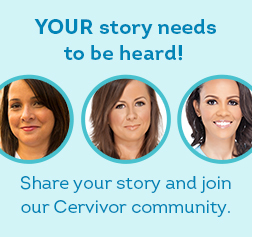 Cervivor’s began to share their stories. These women talked about it all with no holds barred. Vanessa talked about being told that she had pre-cancerous cells, yet she only heard the word CANCER! It took persistence over the course of 5 years to ensure that her pre-cancerous cell never became cancer. 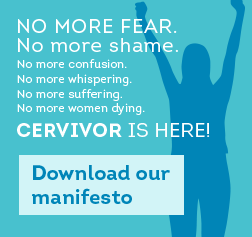 She is what Cervivor is fighting for. Christine recalled getting an unexpected call, because her doctor found SOMETHING. She was busy being a rock star and living life when she was diagnosed with cervical cancer. Her and her husband were planning to have a family, but she lost her fertility due to treatment and her husband left. It was tough and depressing, but her story didn’t end there. She has become a huge advocate in the fight against cervical cancer. She puts on concerts to raise money and spread awareness. Lori recalled the moment that her cervix became a new, uncharted episode of Star Trek. And Star Trek episodes always end in resolution, right? Lori will celebrate 9 years cancer free this month. She said that it was time to win this war against mutant, alien cancer cells. We heard from Carol, a woman who is currently living with cancer. She hopes that one day there will be more treatment options for her. In the meantime, she has decided not to count the years, but to count her sunny days. Emily introduced us to her partner, the speculum. Yes, she whipped one out, right on stage. She always kept her annual appointment with the speculum. However, she didn’t realize how vital her annual date was until her results came back abnormal and she had to have surgery. Today, she knows why she shows up each year and she wants others to be informed as well. We also heard from Heather who shared a letter to her daughter. One of her biggest fears was that she would die and her daughter, Lily, would not remember her. Yet, it’s been 9 years since she fought and beat cancer. She wants her Lily know everything that she needs to know to be empowered when it comes to her health. She also wants Lily to know how her cancer, her survivorship and advocacy work have become an important part of who her mom is. We also heard from Catherine, who, through spoken word, shared how she beat cancer as a young mother and college student years before there was Google or Gardasil. Then, we heard from Joan who lost her daughter, Iona, to this disease last year. As a nurse, she wanted to save her daughter, but her hands were tied. Joan doesn’t want anyone else to go through the pain of losing a daughter. She wants to spread awareness. She urged everyone to get their annual exams, to do it for their loved ones, to do it for Iona. Erica talked about time. She is living with cancer and choosing quality of life over quantity. Her biggest fear is not dying; it’s what she would leave behind when it comes to her husband and her son. Her son’s biological father would hold all the cards. Her husband and son could lose her and each other. Though there is a lot of uncertainty, she has chosen to defeat cancer by how she lives her life. Alegra shared a narrative about the painful reality of losing her fertility due to cervical cancer. 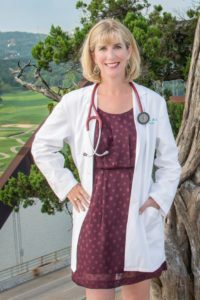 She is passionate about cervical cancer advocacy and teaching other what she knows. She believes that no one deserves to die of cervical cancer, but everyone deserves a crown. We also heard from Dr. Mildred Chernofsky. She shared how we’ve entered a very hopeful time for cervical cancer, because we have a chance to eradicate it. She asked us to honor all the women sharing their stories by going to our appointments, getting the vaccinations and getting screened. We also had the honor of hearing from the lovely Traci Braxton of WE TV’s Braxton Family Values. 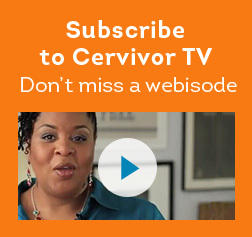 Traci has family members who have been touched by cervical cancer. And when she found out that she had abnormal cells on her cervix, she decided to take charge of her health. 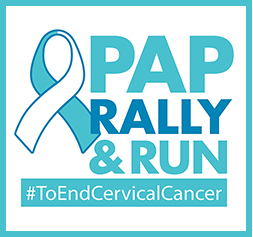 She encouraged the audience to get the HPV vaccine (Read guidelines here), get the Pap test and get the HPV test. We also had the opportunity to honor the family of Henrietta Lacks. In case you haven’t heard of Henrietta, she was the unwitting donor of healthy and cancerous cells that were biopsied during her treatment for cervical cancer in 1951 at John Hopkins Hospital. Her cells have led to significant medical advances. You may read more here. Then, there was Keke Wyatt! She wrapped up the evening with a soulful performance. 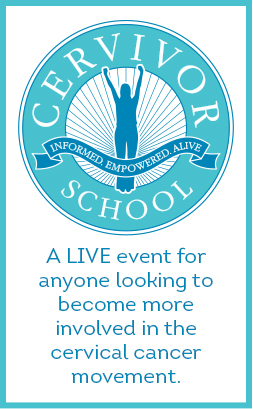 It was an impactful and informative evening where the audience became truly engaged. I heard that some guests were starting up their own health discussions at their tables. In some cases, they were sharing very personal information too. 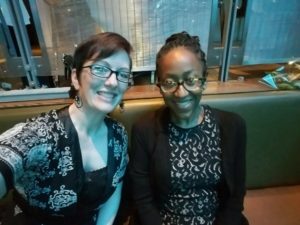 One woman at my table shared that she was shocked to learn that she needed to ask for and HPV test in addition to the Pap test. She said that she was going to ask her doctor about getting the HPV test. 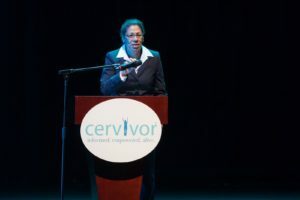 Though I did not share my story on stage that evening, everyone has a story and everyone can have a voice in this fight against cervical cancer. 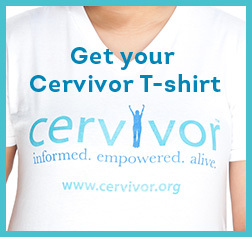 Once I became associated with Cervivor and attended Cervivor School last fall, I became empowered.  I started to share my story with anyone willing to listen. 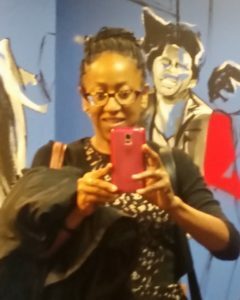 Women are making doctor’s appointments, because of what I’ve shared. The hope is that the stories shared that night will be far reaching and lead to more action and more saved lives. Again, we laughed. We cried. We cheered… Because these women shared their journey, shared their strength and gave us hope.